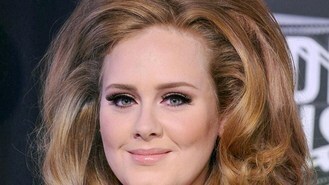 Adele's collaborator Paul Epworth has been handed an early Brit Award after landing the best producer prize. The studio wizard, who co-wrote Oscar-nominated James Bond theme Skyfall with the singer, was honoured at the annual Music Producers Guild (MPG) Awards, which rewards recording professionals. Epworth landed the MPG's producer of the year prize, which also earns the winner the Brit prize, for his work on the Florence + The Machine album Ceremonials. Ceremonials was named album of the year at a ceremony in London's Cafe De Paris last night. Florence Welch said of Epworth: "His innovation and passion are constantly inspiring, and I am grateful to have worked with him on an album that I am so proud of." The event also saw an honorary award going to Beatles producer Sir George Martin for his outstanding contribution to UK music. And Glyn Johns, whose career has included work on The Clash's Combat Rock, Who's Next by The Who and Eric Clapton's Slowhand, took the inspiration award. The Wanted have beaten One Direction in the latest battle of the boybands. Kraftwerk will perform at T In The Park for the first time this summer. After weeks of speculation, Caesars Entertainment confirmed it is trying to lure Britney Spears to Las Vegas for a recurring gig at the Planet Hollywood Resort and Casino. Patti Smith is being honoured by Bryn Mawr College with a medal named after the late actress Katharine Hepburn. Marilyn Manson apparently collapsed on stage as he performed in Canada. Will.i.am was joined by stars including Alicia Keys and Estelle at his charity event in Los Angeles. Ed Sheeran has ruled out a collaboration with Justin Bieber. Rita Ora has admitted she thought she was heading for "another disappointment" when she met with Jay-Z's record label. The success of homegrown acts One Direction, Adele and Mumford & Sons helped push UK artists to their biggest-ever share of the US albums market last year.